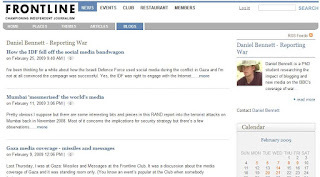 My latest post is about how the Israeli Defence Force used social media during the recent conflict in Gaza. Blogging takes prize of place. What should the BBC do with Twitter?